This is a collection of how-to laptop repair manuals and DIY laptop repair videos that we have created free for you. These Dell repair manuals for the Dell Vostro 1400 notebooks are designed to teach you how to install and replace Dell parts that you have purchased from Parts-People.com. Feel free to ask questions or request new tutorials. Learn how to install and replace the laptop Bottom Base on a Dell Inspiron 1420 / Vostro 1400 (PP26L) laptop. This will take you set by set through the complete installation and replacement process. The only tools needed is a small phillips head screw driver and a small flat head screw driver. 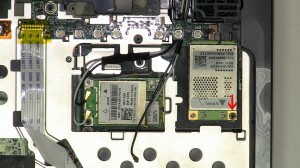 This how-to guide shows the removal and installation of the Modem Port Circuit Board on the Inspiron 1420/Vostro 1400 (PP26L). If you need any of the parts spoken about they are linked at the bottom of the post. A small phillips head and flat head screw driver is the only tool needed for this repair. Learn how to install and replace the laptop Speakers on a Dell Inspiron 1420/Vostro 1400 (PP26L) laptop. This will take you set by set through the complete installation and replacement process. The only tools needed is a small phillips head screw driver and a small flat head screw driver. 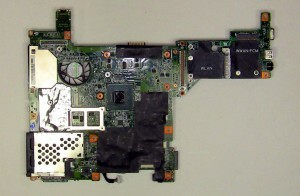 Learn how to install and replace the laptop Motherboard on a Dell Inspiron 1420/Vostro 1400 (PP26L) laptop. This will take you set by set through the complete installation and replacement process. The only tools needed is a small phillips head screw driver and a small flat head screw driver. 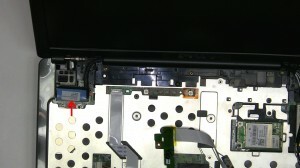 Learn how to install and replace the laptop LCD Back Cover Assembly on a Dell Inspiron 1420/Vostro 1400 (PP26L) laptop. This will take you set by set through the complete installation and replacement process. The only tools needed is a small phillips head screw driver and a small flat head screw driver. 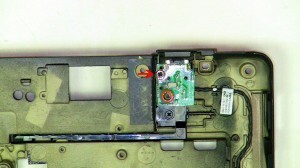 Learn how to install and replace the laptop LCD Cable on a Dell Inspiron 1420/Vostro 1400 (PP26L) laptop. This will take you set by set through the complete installation and replacement process. The only tools needed is a small phillips head screw driver and a small flat head screw driver. 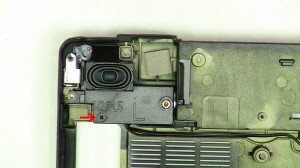 This how-to guide shows the removal and installation of the LCD Web Camera on the Inspiron 1420/Vostro 1400 (PP26L). If you need any of the parts spoken about they are linked at the bottom of the post. A small phillips head and flat head screw driver is the only tool needed for this repair. 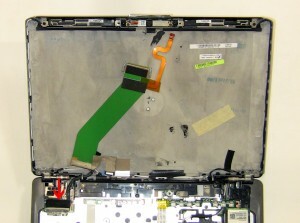 This manual shows step by step instructions for the removal and installation of the LCD Screen on a Inspiron 1420/Vostro 1400 (PP26L). This simple repair can be completed using only a flat head or Phillips screwdriver. 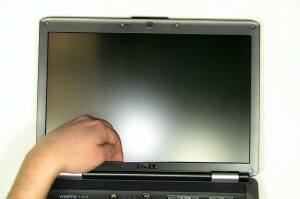 Learn how to install and replace the laptop LCD Display Bezel on a Dell Inspiron 1420/Vostro 1400 (PP26L) laptop. This will take you set by set through the complete installation and replacement process. The only tools needed is a small phillips head screw driver and a small flat head screw driver. 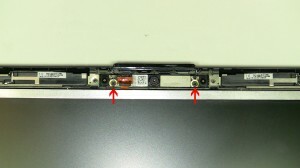 This how-to guide shows the removal and installation of the Display Assembly on the Inspiron 1420/Vostro 1400 (PP26L). If you need any of the parts spoken about they are linked at the bottom of the post. A small phillips head and flat head screw driver is the only tool needed for this repair. This manual shows step by step instructions for the removal and installation of the WWAN Card on a Inspiron 1420/Vostro 1400 (PP26L). This simple repair can be completed using only a flat head or Phillips screwdriver. 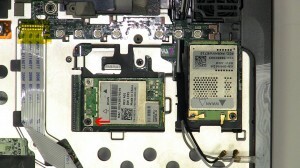 Learn how to install and replace the laptop WLAN Card on a Dell Inspiron 1420/Vostro 1400 (PP26L) laptop. This will take you set by set through the complete installation and replacement process. The only tools needed is a small phillips head screw driver and a small flat head screw driver. 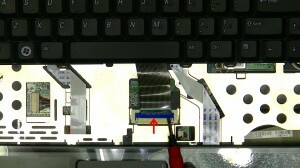 This how-to guide shows the removal and installation of the Keyboard on the Inspiron 1420/Vostro 1400 (PP26L). If you need any of the parts spoken about they are linked at the bottom of the post. A small phillips head and flat head screw driver is the only tool needed for this repair. 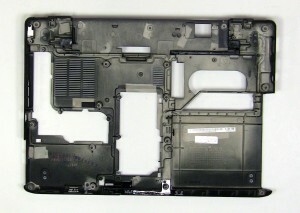 This manual shows step by step instructions for the removal and installation of the Power Button Cover on a Inspiron 1420/Vostro 1400 (PP26L). This simple repair can be completed using only a flat head or Phillips screwdriver.